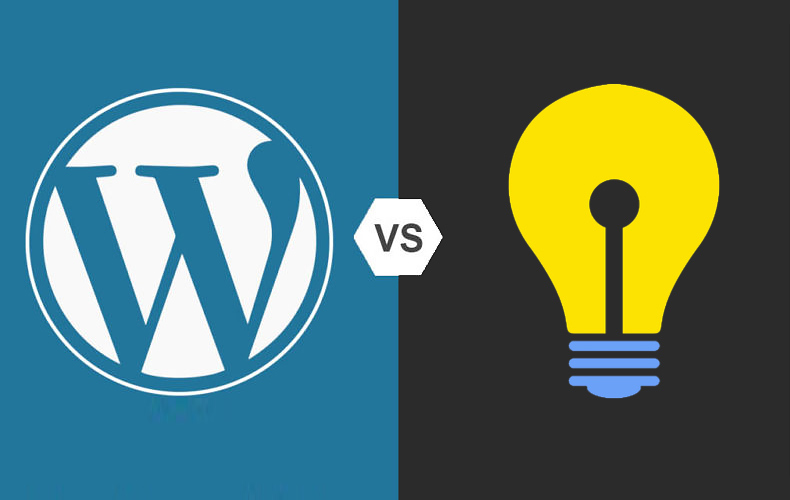 If you are looking to start an online business, you’ve probably found various WordPress themes and scripts and are likely asking yourself what the difference is. Taking time to fully understand the difference and choosing the right platform for your project will likely be the most important business decision that you make. Start with the platform that you know can grow with your website, instead of later having to migrate to a new CMS. WordPress has an extensive third-party plugins marketplace which makes the platform extremely flexible. If you’ve ever had a WordPress website, you know that constant updates are required for the plugins you use, the theme you’re using, as well as WordPress itself. And because there are so many different independent parts powering WordPress websites, it’s hard to keep them up to date and your website becomes susceptible to malfunctioning and in the worst case scenario, getting hacked. If you’re a developer or if you know how to keep your website properly up to date and secure, WordPress could be a good option, but still requires hunting for plugins from third-party developers. Taking this into account, virtually every feature that a successful website would need has been built into the Brilliant Directories software. With less moving parts, Brilliant Directories tends to be the more stable option of the two. We’ve taken the time to breakdown the major differences between both options to help make your decision even easier! You can find WordPress scripts for as little as $19 online. This gives a business owner that has a tight budget an opportunity to launch their concept and get feedback for little upfront investment. For business owners looking to host their website on their own websites, WordPress Themes and Scripts give ample opportunity to do this without having to jump through multiple hoops. If you have already customized WordPress plugins, and would like to integrate them on your new website, launching a WordPress website allows you to easily integrate your custom plugins on your new website. WordPress is the most used platform for building websites. This open-source solution is responsible for over 25% of all new websites being launched. This also means that there is a massive online community that is wiling to share and help users of WordPress. Although a general WordPress community may not be able to assist with questions about a specific script you have installed, they will be able to help with general questions about this blogging tool. Brilliant Directories is specifically designed to provide you with 99% of the features you need to successfully run a membership and directory website, all built into one comprehensive platform. There’s no need to go fishing for plugins like you’re required to do with WordrPess, hoping that they will work. Having access to industry to experts to help setup your website and provide sound marketing advice gives you the “insider” edge and speeds up the eventual launch of your business. Click HERE to view the setup plans available to you. Once your website starts generating revenue and traffic, access to quality customer support becomes crucial. You may not rely heavily on support on day one, but who will you call when you have your first glitch, or require help finding the answer to questions being asked by your customer base. You also have complete access to hundreds of solution articles that cover everything from how-to documentation, constant feature updates, and marketing advice. Brilliant Directories is proud to offer free monthly webinars to its loyal customer base. You can access tips and tricks from the founders themselves! When you purchase the Brilliant Directories solution, you also get our team of dedicated developers that are continually working to make your business solution the best in the industry. Each month, we publish our changelog that promotes our latest updates that you can leverage to take your online business to the next level. If you have ever launched a WordPress websites, chances are that you have integrated a 3rd-party plugin that has fallen behind with WordPress updates. Brilliant Directories is a software as a service, meaning you will never have to worry about plugins falling behind. Unfortunately it’s not a matter of “if”, but “when” with regards to having server problems. If your website runs slow, or worst yet, goes offline, our server management team will be quick to act to make sure your website returns to full operation. Whether you promote deals, property listings, local business, job openings, online courses, events or classifieds, you are going to generate thousands of dynamic web pages. Each search result page and post is unique, and requires an easy way to apply dynamic SEO content to each one without having to manually update the SEO for each individual page. Brilliant Directories is proud to offer a free certification course that allows any third party developer to become proficient using the platform. You can view our free Developer Resource Center” HERE. If you are thinking about launching a deals, properties, classifieds, local directory, events, professionals or product listing directory, choosing a software that has been built from the ground up for this type of website gives you an edge. Where WordPress was built to create Blogs, Brilliant Directories was built to create directory websites. Brilliant Directories has been focused on directory and membership websites from the beginning. We understand these types of websites and have developed all of the most requested features into one simple platform that works right out of the box. There’s no need to go on the search for compatible plugins and themes – you’re set for success from the moment your website is launched.